TME has included control cables of OZ-500 series, with numbered cores in insulation made of PVC, to its offer. They are not equipped with yellow-green protection core. 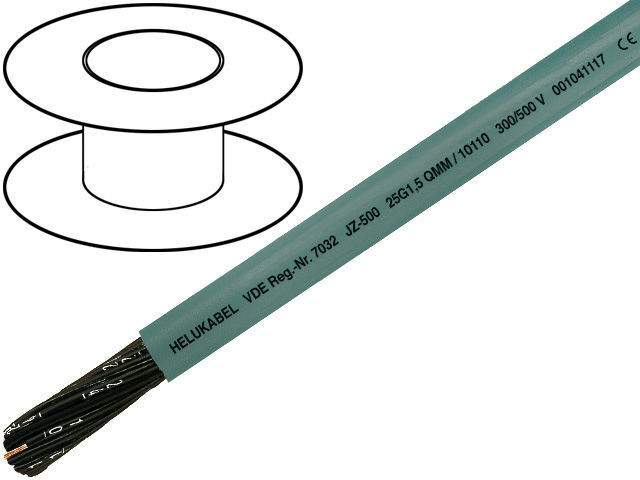 Their manufacturer isHELUKABEL company, one of the world’s leading manufacturers of cables and wires. Wires of OZ-500 series may be used at average mechanical load in flexible connections, in which tensile stress does not exist. They are used in industry, in control, signalling and measuring systems.